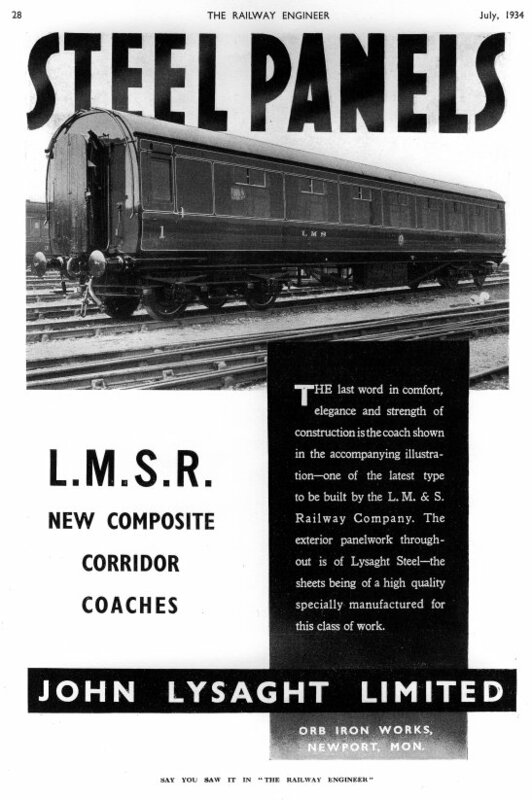 THE last word in comfort, elegance and strength of construction is the coach shown in the accompanying illustration — one of the latest type to be built by the L.M.&S. Railway Company. The exterior panelwork throughout is of Lysaght Steel — the sheets being of a high quality specially manufactured for this class of work. ORB IRON WORKS, NEWPORT, MON. Transcribed by: Michael Fearn, June 2009.